Yesterday we teased that we'd be getting a better look at The Flash (Grant Gustin) during the season finale of "Arrow" and The CW paid off. Check out the clip they call "Don't Blink" where Arrow refers to the arrow catching Flash as a "show off." A full trailer for the "Arrow" spin-off nigh but for now, enjoy Barry Allen showing off his mad and zippy skills and his excitement over these talents, to Oliver (Stephen Amell). Nice first impression! 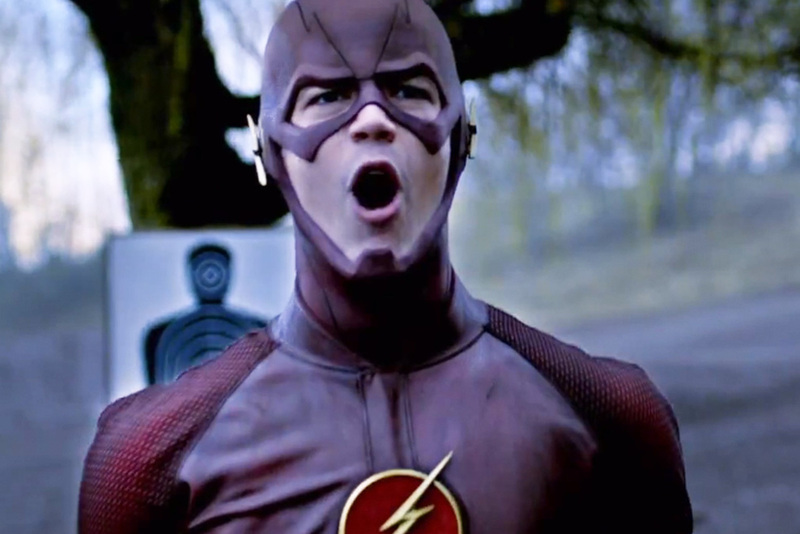 "The Flash" premieres on The CW this fall.